There’s something about summer that gets us all in the mood for a bit of a merrymaking. Yes, unofficial party season is in full swing. Maybe you’re jetting abroad for the social event of the calendar? We hear The Hamptons is where it’s at for country ‘do’s, Stateside. Or perhaps you’re dancing the night away a little closer to home? A rural retreat sounds pretty good to us round about now. Or, here’s a thought, why not stock up on Pimm’s, hang some tea lights and erect an inflatable flamingo or two, right here at home? Somewhere between June and July, the countryside suddenly turns from soggy escape to dream destination. Our Instagram accounts are positively flooded with country-bound party-goers clutching cocktails in jam jars, stood in front of an unfiltered sunset, generally looking very pleased with themselves. This isn’t black-tie territory, but it certainly calls for a bit of sprucing. If you’re anything like us you’ll be turning to a classic LBD. A reliable little black dress, armed with a summery spin; be it a scalloped edge, crochet inserts or light, linen finish. 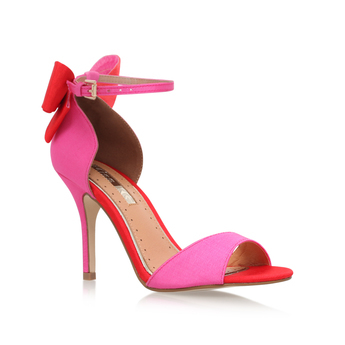 Of course, you’ll be needing a great party shoe to go with it. If you’ve got an eye for sparkle it’s all about Miss KG’s 'Cherry' heels (or their espadrille sister – the 'Mimi' – if you’re a comfort-first kind of girl). For a proper statement take on country party dressing look no further than Miss KG's 'Flirt' sandals. These feathered fancies will cement your status as unrivalled party animal. We've all got that one friend who party hops from one poolside bar to another, all summer long. Here’s hoping you've got at least one invitation to a proper summer social; canapés n'all. These are the dressier summer affairs, where a court shoe will do nicely. Opt for Carvela’s 'Alice' courts (the orange and pink ombre pair will brighten up any summer dress), or go prim and proper in Miss KG’s 'Chyna' heels. Accessorise with a great pair of shades and Kurt Geiger London’s 'Leather Mini Bag'. Running low on wedding or milestone birthday party invites this summer? There's no time like the present. Call a bunch of your closest pals, and get a gathering going in the garden. Now, this is, after all, a glorified house party. You don’t want to look too 'done'. 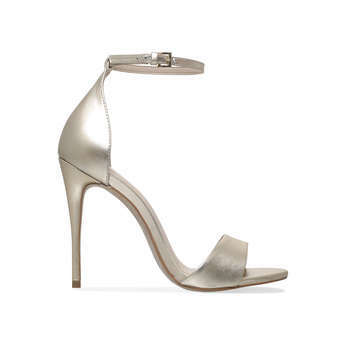 A mid heel sandal is a safe bet – a heel not so high and thin that you’ll be tottering around, getting one foot stuck in the grass and another tearing through your poor friend’s maxi dress. Carvela’s 'Gianni' or 'Gogo' sandals are perfect for this sort of soirée. Team the former with a pair of culottes and an off-the-shoulder top. The latter are calling out to be worn with a pretty, ruffled dress. 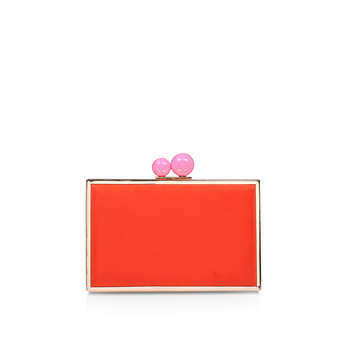 Elevate either look with a pair of statement earrings and Kurt Geiger London's 'Glitter Heart Crossbody'. Now you’ve got your party wardrobe sorted, you can kick back and enjoy the sun-soaked festivities. Prosecco firmly in hand.